Loved this soft color combo. The colors just play so well off of one another. 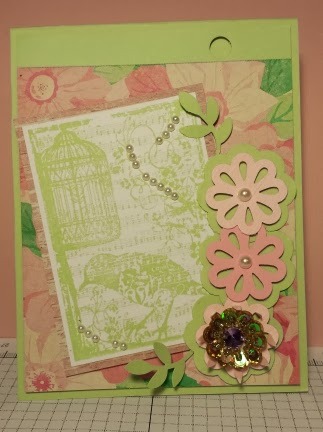 I've used my fav Tim Holtz stamp (older stamp) with 2 SU punches, ink, pearls, cs and some decorative paper from a Crate Paper stack designed by Maddie Holmes. Get Inspired @ Dynamic Duos!!! Beautiful card!!! Thanks for joining us at the Dynamic Duos! !